A well-decorated Ranch home should invite easy living at the the end of a long work day. Kind of like good, old blue jeans, originally meant for work and now known for comfort. 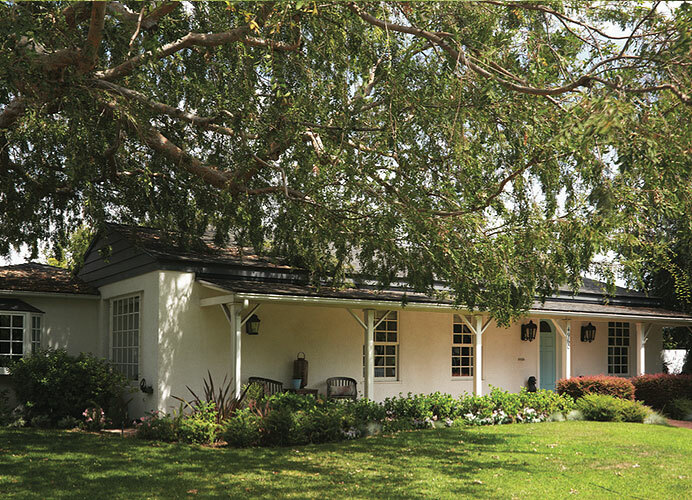 Ranch-style homes were originally connecting to and inspired by the practicality and purpose of classic Spanish-American architecture. As the popularity of the Ranch grew along with a dramatic increase in our leisure time, the style became associated with creating a very informal and casual lifestyle. That theme continues to be played out in color schemes that help create that laid-back feeling. While working the Ranch was once, and still remains, important, relaxing on the Ranch has become the higher priority. Nature has its own color schemes that can serve as the starting place for your color selection. Within each wood grain or stone composite, there are accents waiting to be discovered. As big and dramatic as the world around it, Desert Modern architecture has taken Mid-century style to the extreme by combining generous use of natural materials and adapting it to the desert environment with massive walls and roof slabs to make desert living thoroughly comfortable. Initially, it appears that so much use of natural material makes paint color secondary and simple, when actually bold and intense color choices can really enhance the drama and visual impact of a desert modern home. For more information, download our Ranch / Desert Modern Color Card PDF. *Ask a Dunn-Edwards representative about product availability. 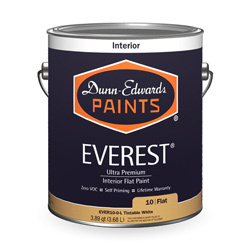 EVEREST® is a complete line of ultra-premium, low odor, Zero VOC, self-priming, 100% acrylic paints ideal for use on high-end residential and commercial projects. They apply easily and feature exceptional hide, superior stain resistance, washability and adhesion. 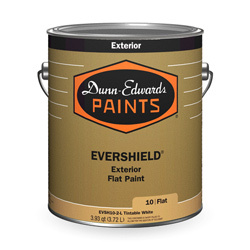 EVERSHIELD® is a complete line of ultra- premium, ultra-low VOC, 100% acrylic paints. Ideal for use on high-end residential and commercial projects where superior performance and durability is required.